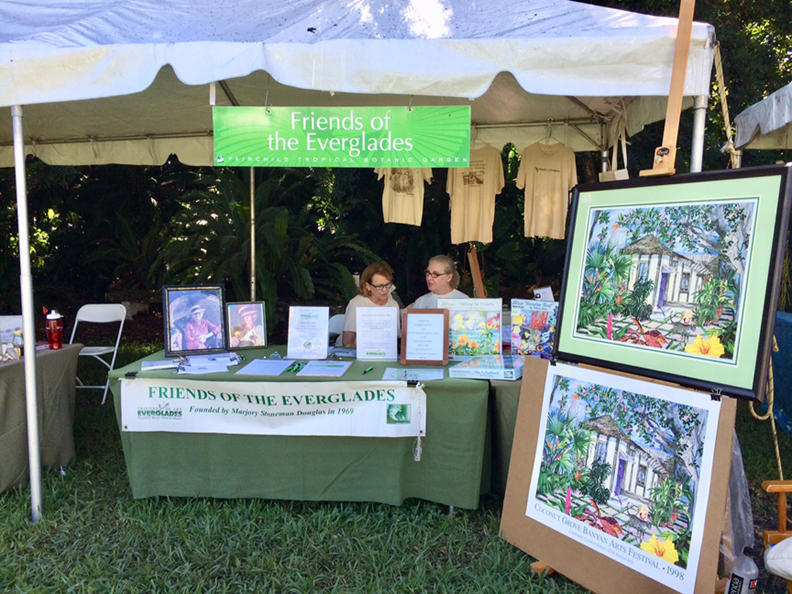 November 10-11, 2018 I was Exhibiting at Fairchild Tropical Garden at 78th annual RAMBLE with the Non-Profit group Friends of the Everglades. It was a 2 day outdoor event. Beautiful weather. I did this painting of “Marjory Stoneman Douglas “Home in Coconut Grove and we sold 9 memberships which included a signed poster of Marjorys Coconut Grove Home. Next Next post: “Traveler” – Commissioned Peacock Sculpture for Florida couple with residences also over seas.